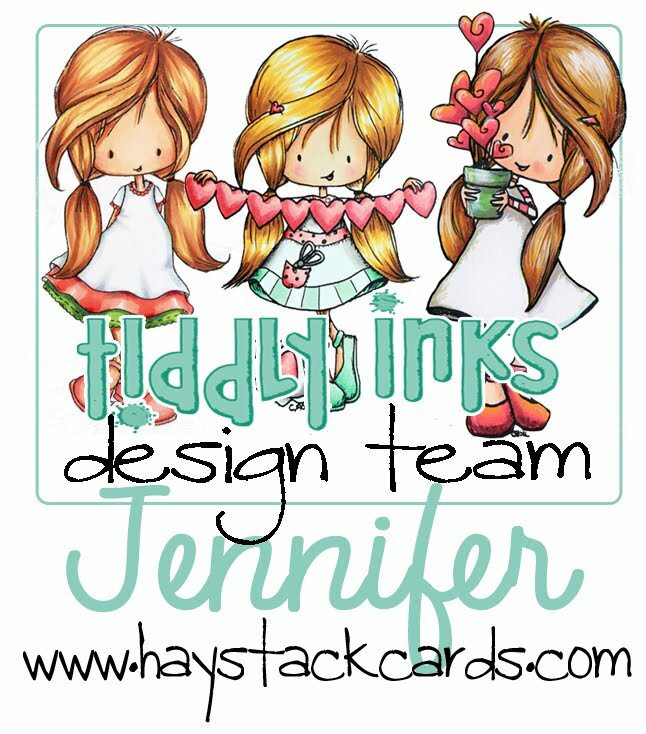 I also like cards with a dual purpose so I used this opportunity to create another baby card for my sister. She's having another baby shower in two weeks. Since she doesn't know if the baby is a boy or a girl, I thought the Aqua SeaGlass and Light Pink could go either way. I only wanted the card to have a hint of pink and blue. The "Pure Happiness Is" sentiment (stamped in Memento Rich Cocoa) came in a prize package I received from SP & Company. 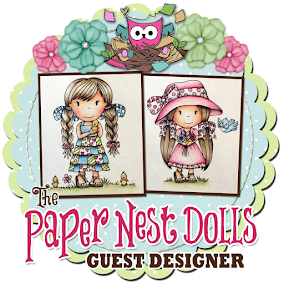 The paper is from Echo Park's Bundle of Joy - Boy collection that came with the March kit. 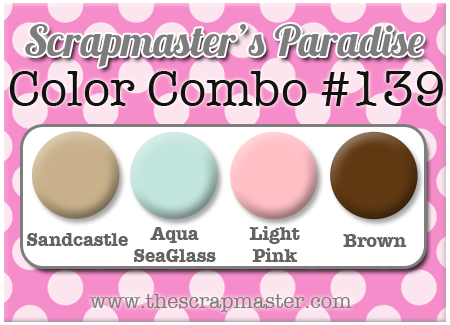 I used the Big Build a Banner I die tools to create the layered banner and had a sample stash of the new Scrapmaster's Paradise in Color buttons... shown in sandcastle and flamingo pink. I pulled the white foamy alphabet stickers and ribbon from my long standing crafty stash of embellishments. I also love how the score lines add visual interest to the front of the card... which helps draw attention to the sentiment. 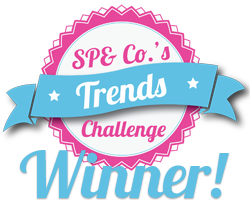 UPDATE 4/17/13: Check out my new Trends Challenge Winner badge (I've added it to the right column of my website). 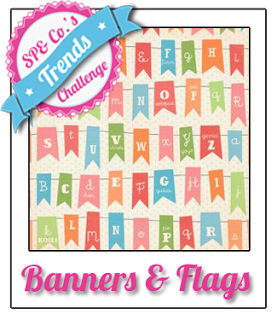 I just received word that this card was selected as the SP & Company's Trends Challenge winner for Banners & Flags!! I can't wait to receive my $25 gift certificate to the SP & Company Store. There are so many new product releases for April that I'm sure I'll be able to put the prize to good use!!!! This is soooooo cute! I love the baby banner! Thanks, Samantha! It took me a while to figure out exactly how I wanted to design the card, using the colors in the challenge... without blue or pink dominating. I'm really happy with the way it turned out! Cute card! I like how you have just the hint of the pink and blue. 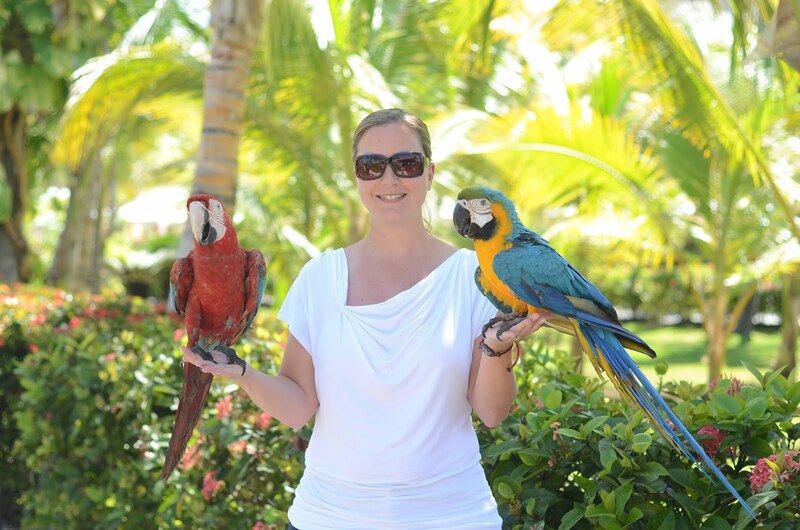 Thanks, Nanette! I know what you mean. I thought it turned out great! !